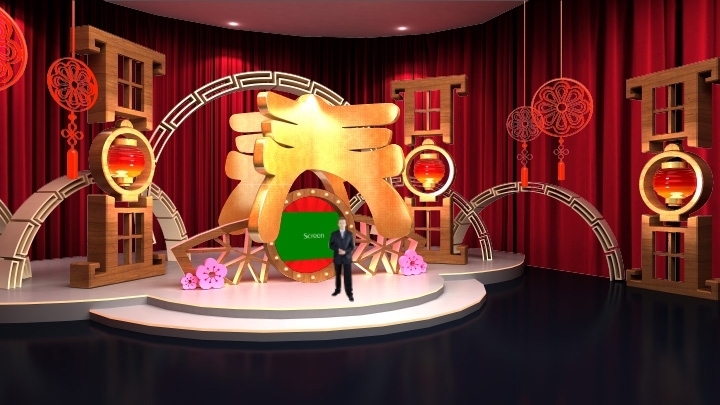 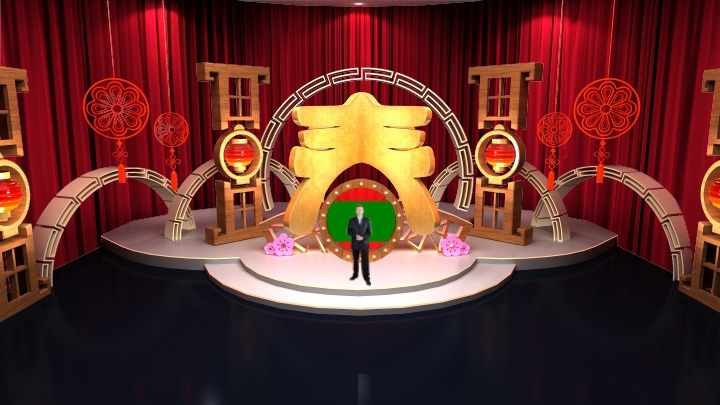 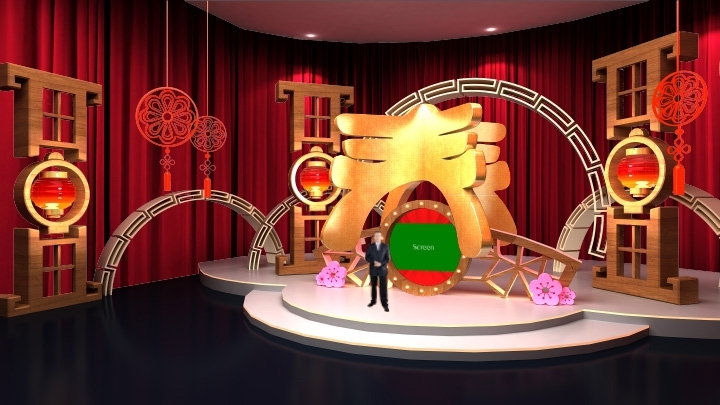 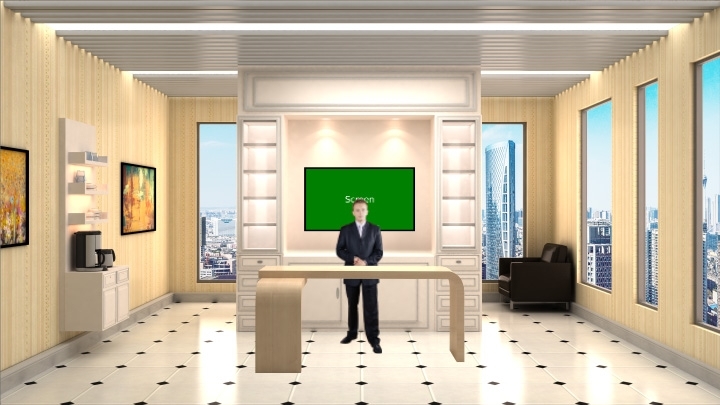 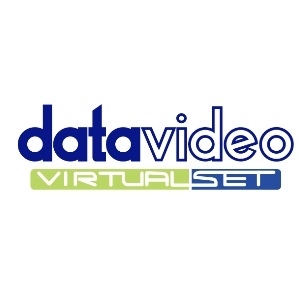 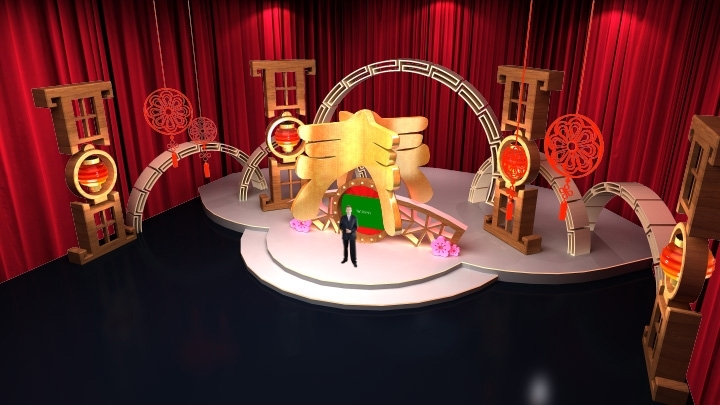 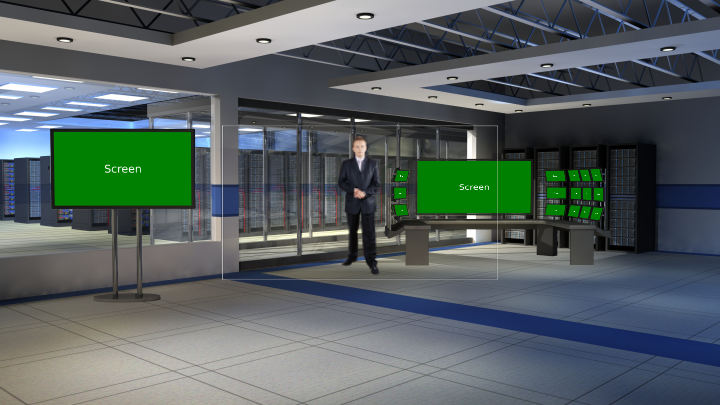 The center of the virtualset is decorated with large-scale “spring” shape in Chinese and carved totems. 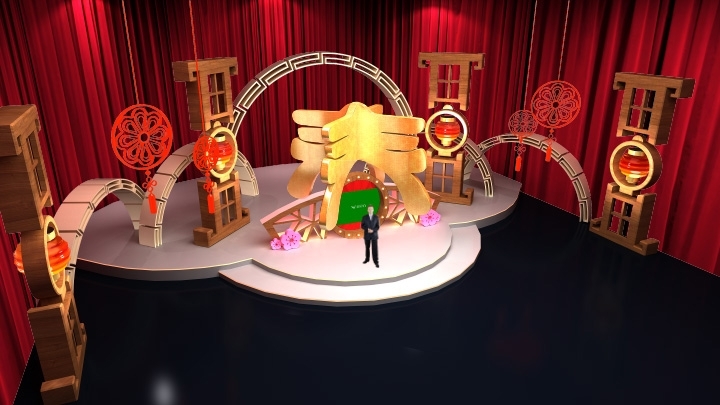 The scene uses bright colors to present a festive and warm atmosphere. 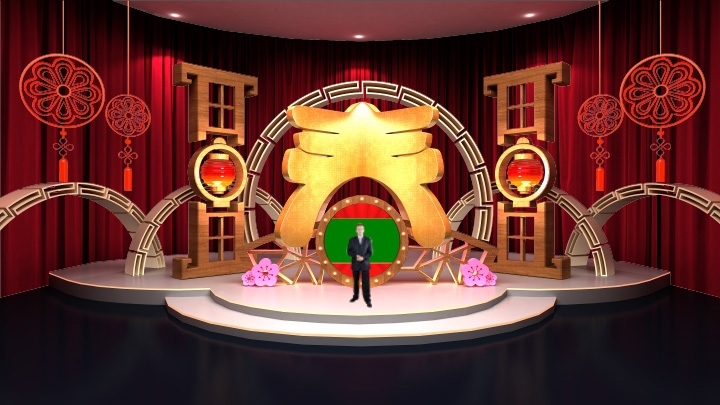 It is suitable for Chinese New Year, Chinese festival celebration and department store events.